In 1996, Nike opened a 10 year partnership with the world’s most decorated international side, the Brazilian national football squad. 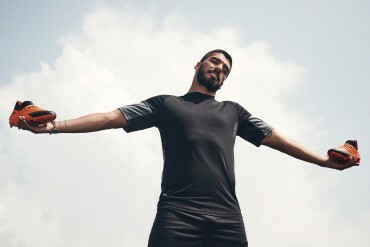 At the time this was a significant statement of intent; Nike were committed to the world’s most popular sport. 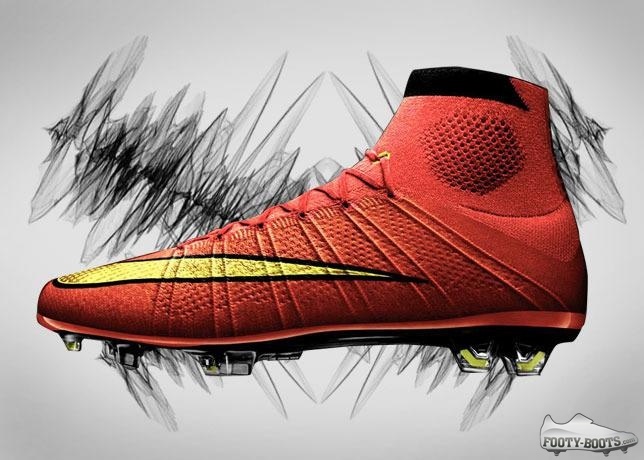 With Brazil’s kit deal in the bag Nike needed to add a football boot that could compete with the best. Adidas had the Predator, launched in 1994 with its rubber fins to swerve the ball, it was the boot to have. 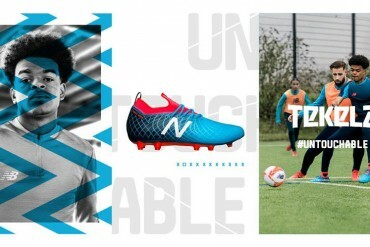 Nike needed something different, something marketable, some way of carving out their own identity in football boots. They turned to the best player in the world at the time, Ronaldo. Ronaldo, Brazil’s young striker, was the muse. 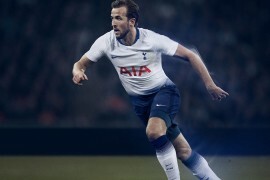 An incredible talent with power, pace, skill and a predatory eye for goal. He was, in short, mercurial. 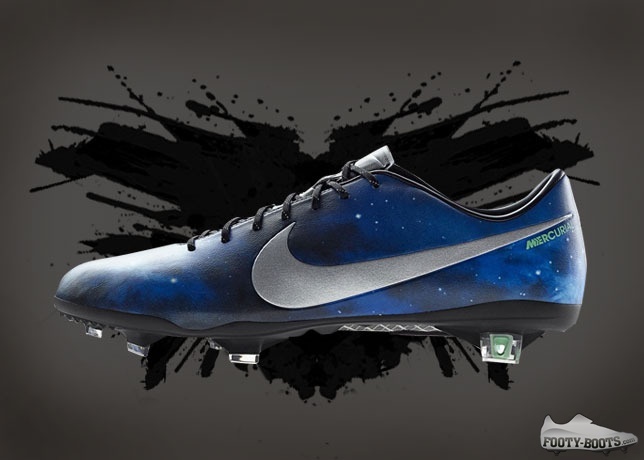 To craft a football boot suited to Ronaldo’s explosive style, Nike designers looked to the track. 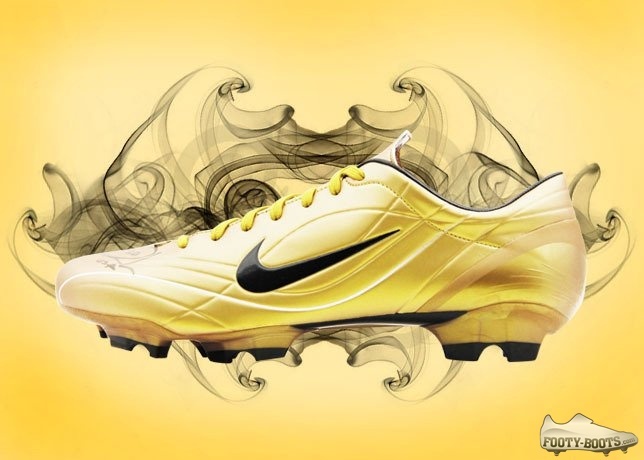 Early concepts included a disassembled track spike married to a Nike Tiempo upper, which illustrated the objective of unmatched weight reduction in a football boot. To meet the challenge, the team of designers bucked longstanding trends by eschewing kangaroo leather and employing a synthetic kangaroo replacement, KNG-100. The second major breakthrough was reducing plate thickness from the industry standard 3 mm to a game-changing 1.75 mm. 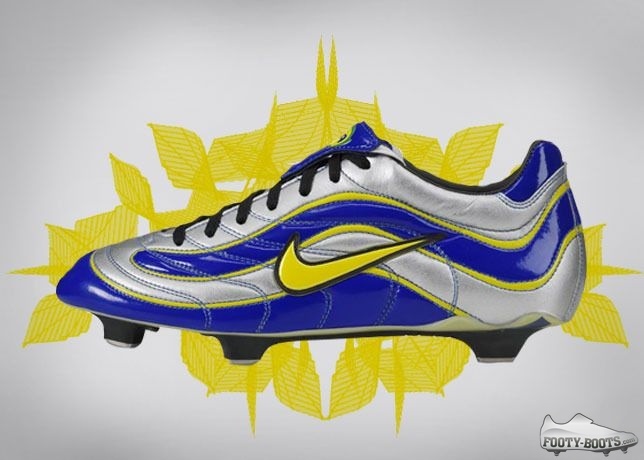 Nike launched the Mercurial silo in 1998, forever changing the look and feel of performance football boots. 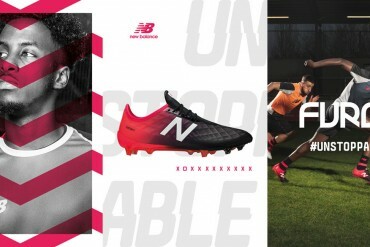 How can a track spike inform a football boot? 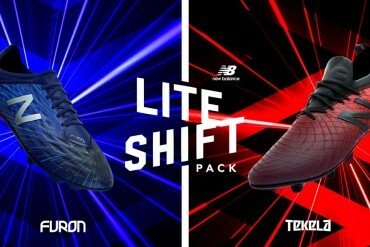 Initially known as Tiempo Ultra Light, and the Ronaldo Ultra Speed, the Nike Mercurial answered that question. Engineered with Ronaldo’s startling velocity in mind, what started out as a lightweight addition to the Tiempo series accelerated past anything made before and forged its own path as a “speed” boot: the Mercurial. 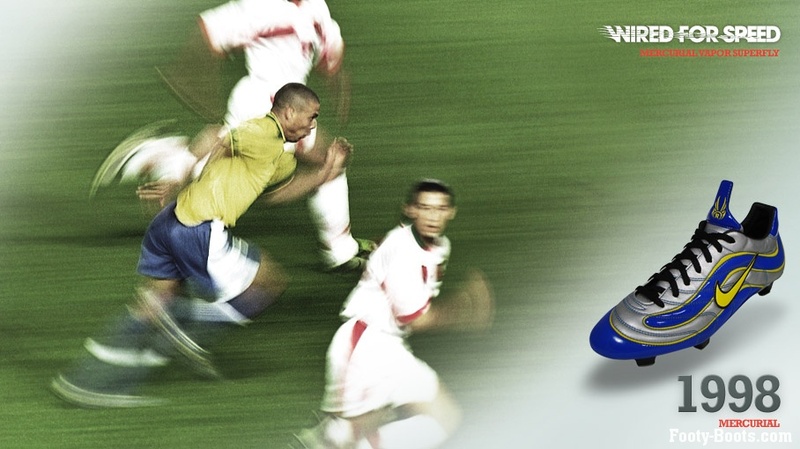 In tune with the phenomenal Brazilian striker’s insights, the Mercurial was engineered for speed. A thinner plate, built to withstand the impact of 90 minutes of high-speed play, reduced weight. The KNG-100 synthetic upper (which behaved like leather but didn’t absorb water like natural fabrics) further trimmed weight. 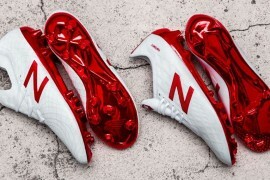 Thinner and lighter than traditional leather, KNG-100 shattered the stigma of synthetic football boots and changed how football footwear was made. A sticky coating for ultimate ball control was sourced, appropriately, from the chassis of racing motorcycles and was honed to work with the shoe’s unique upper. The Mercurial proved an ideal canvas for colour and made an impact in blue and yellow on Ronaldo’s feet on football’s biggest stage in the summer of 1998. Weighing just 230 grams, the Nike Match Mercurial proved that Nike’s experiment with lightweight football boots didn’t end with the original Nike Mercurial. For the second generation, the boot’s development became part of Nike’s Alpha Project, a series of footwear symbolized by five dots and emblematic of excellence in performance. 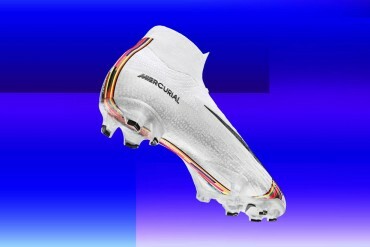 While the Match Mercurial retained the same last as the original, it was given its own distinct aesthetic. 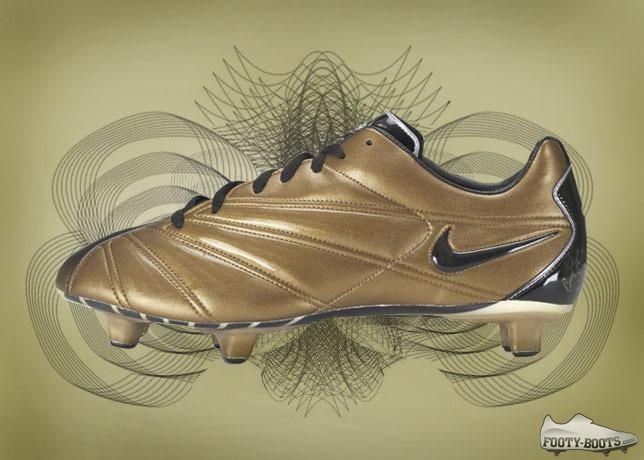 Most notably, on Ronaldo’s signature Match Mercurial R9, the KNG-100 was dressed in a metallic copper that faded to black toward the toe panel. 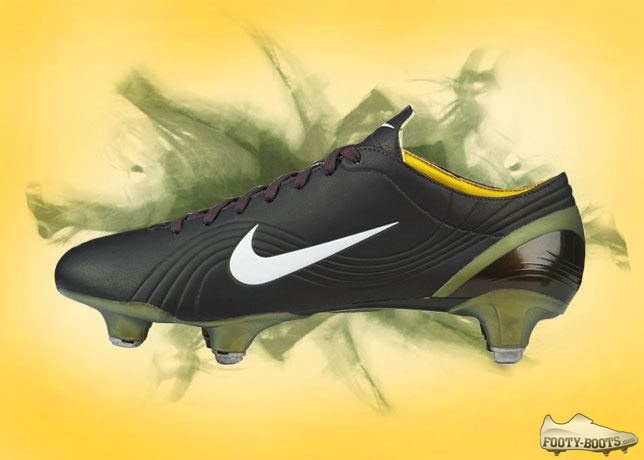 The Alpha Project era, including the Mercurial R9, Air Zoom Italia, Match Mercurial, and Air Zoom Mercurial (a rare piece of the Mercurial story incorporating full-length Nike Zoom Air cushioning) confirmed that fast could get faster. As the original Nike Mercurial borrowed designed language from an Italian motorcycle (specifically for its ball-control coating), the Nike Mercurial Vapor drew inspiration from the fastest production cars available. If the initial idea was to build a track spike for the pitch, the Mercurial Vapor was created to sustain a 90-minute sprint and deliver the perfect foot-to-ground feel for fast players. 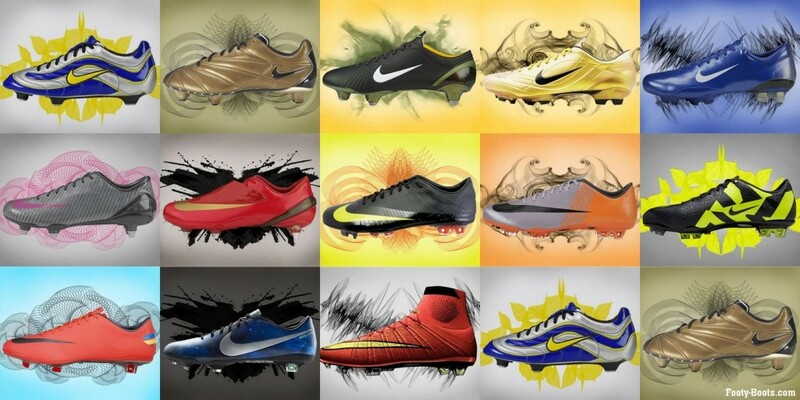 Over the course of development, Nike analysed each element of the Mercurial Vapor. Everything from glue to stitching thread was weighed in order to remove excess weight. However, sustaining speed for a full match also required comfort. A new anatomical last created around the natural shape of the foot for less pressure brought the player closer to the boot’s plate. The innovative fit reduced weight, added comfort, and, in a testament to the Mercurial’s DNA, increased speed. 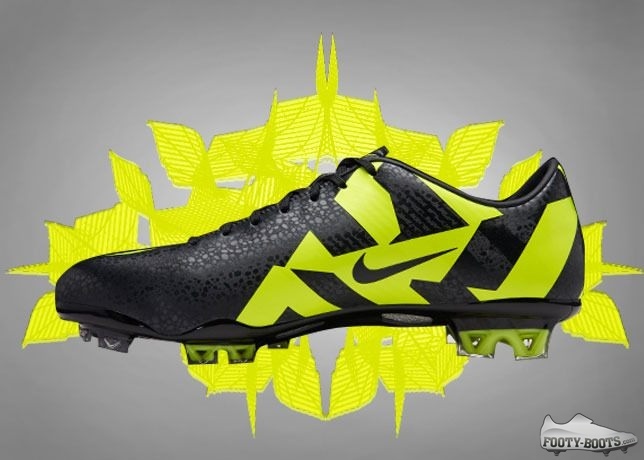 With constantly evolving designs for a faster and more comfortable boot, it didn’t stop there. One of the evolutions brought the quest for the fastest boot to the women’s game. American stars Mia Hamm (who led the U.S. Women’s team to victory in 2003 and a gold in 2004) and Brandi Chastain wore the Mercurial Vapor. Their insights led to the 2003 Nike Women’s Mercurial Vapor—a boot built to the exacting specifications of the female foot. For the Nike Mercurial Vapor II speed was a given—the weight remained the same—but refinements to comfort were required to realize the goal of a perfect foot-to-ground feel. Modifications to fit included an enlarged heel tab for extra ankle cushioning. The Team Red edition, part of the original release rollout, indicated that bold colour was still part of the Mercurial Vapor’s aesthetic, but it was Ronaldo’s signature gold and black for the Mercurial Vapor II R9 that is most remembered. Fittingly, the audacious design stood out on the feet of emerging star Cristiano Ronaldo (who started wearing the Mercurial in his early-teens) in a fluid passing of the torch. 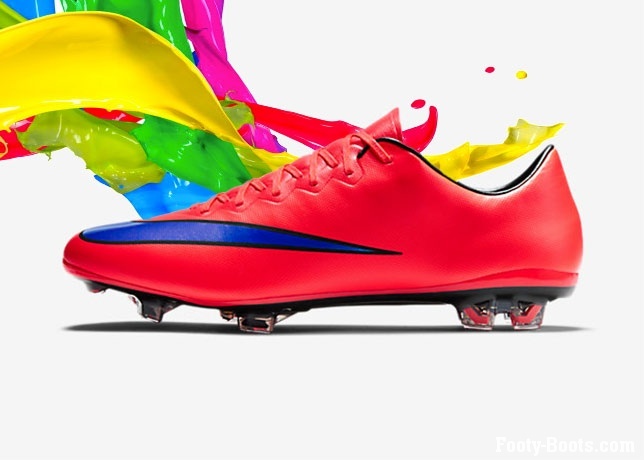 Like its predecessors, the Mercurial Vapor III came in colours befitting its speed. Cristiano Ronaldo wore a bold Cactus colourway. Meanwhile the Brazilian Ronaldo celebrated his all-time tournament scoring record in 2006 with a limited-edition version of the Mercurial Vapor III R9, and signaled a decade of Mercurial speed with a 10th anniversary edition (released in 2007) that brought the distinctive colour scheme of the original Mercurial to the carbon fiber-aided Mercurial Vapor III platform. When footwear designer Mark Parker become CEO of Nike in January 2006, he challenged every design team within the company to create something outrageous, with no design limitation, and invited a re-imagining of the meaning of innovation in performance footwear. 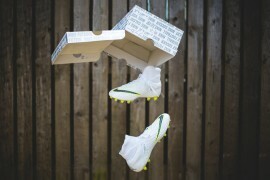 Reacting to this challenge, Nike Football super-charged the Mercurial’s lightweight speed concept. A decade after Mercurial changed football forever, the Mercurial SL went back to its track sprint origins. 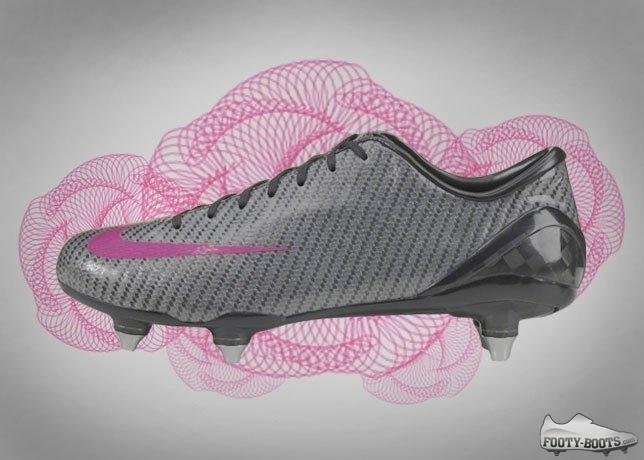 At just 185 grams, the Mercurial SL was constructed entirely out of carbon fiber. With the upper crafted in Italy, the plate engineered in Germany, and the outsole built in South Korea, the Mercurial SL was a product of the global game. 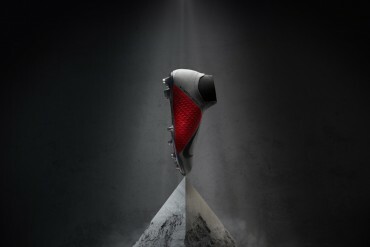 The concept boot pushed the boundaries of football and set the stage for new era of innovation on the pitch. The inherent speed of the Mercurial Vapor IV was augmented by some of the boldest colours ever seen on a football pitch—Orange Peel and Citron—and in Mercurial Vapor Rosa, the shoe put a final flamboyant stake in the heart of black boot purists. 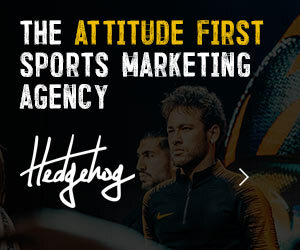 What does the athlete want? How can a boot feel like less but deliver everything? The answers yielded the lightest, fastest Nike boot at the time—the Mercurial Vapor Superfly— wiring players like Cristiano Ronaldo for unmatched speed. 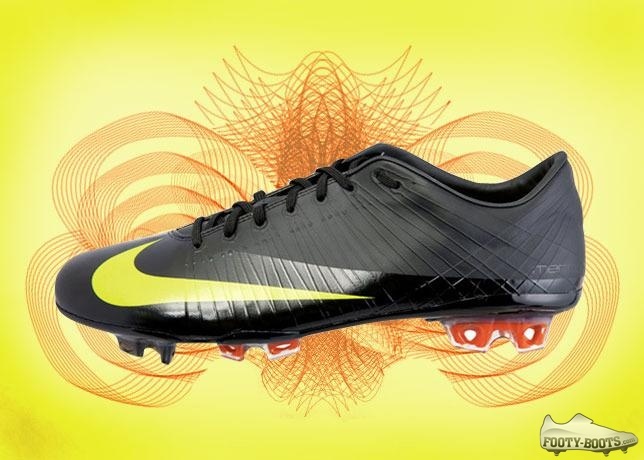 With the Mercurial Vapor Superfly, the notion of unparalleled speed on pitch was revolutionized yet again. Nike Flywire, engineered for lightweight support and fresh off debut in Beijing, was inherent to its design. 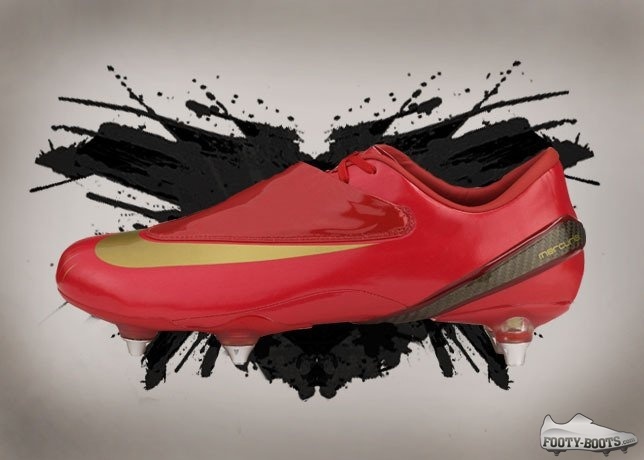 Like the Mercurial SL before it, the Mercurial Vapor Superfly drew from cutting-edge track spikes. But, unlike any other Mercurial before it, the Superfly seamlessly incorporated support and flexibility. 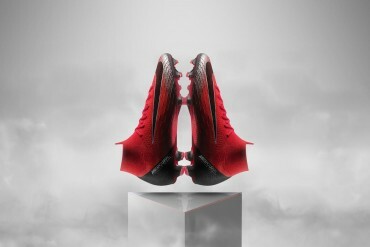 Inspired by the cheetah, the Mercurial Superfly II turned the question of speed into a question of traction. Influenced by insight from Cristiano Ronaldo, the Mercurial Superfly II incorporated NIKE SENSE technology, the next great evolution for football’s premier speed boot. The innovative studs extended and retracted by millimeters based on pressure and ground conditions, providing a base for optimum speed and stability in all directions. Accelerating in every twist and turn transformed each critical step into an opportunity for victory. For the 2010 summer in South Africa, the Mercurial Vapor Superfly II was also given an Elite Series makeup. With this, premium speed was augmented not just by reduced weight (achieved via a carbon fiber plate), but also through a Mach Violet and Total Orange colourway. Far from simply an aesthetic choice, the scheme was chosen after intense investigation of which colours stimulate peripheral vision in game conditions. In a blur, the Superfly II provided a target for pinpoint passes towards goal. The refined composite upper was more streamlined than ever, with a carbon fiber chassis and the same adaptive traction system as the Superfly II. The Superfly III’s bold colour placement at the rear of the boot (shown in image above) and overall colour combination expanded on the Elite Series’ concept of visual acuity. Mercurial is all about turning speed into explosive speed. 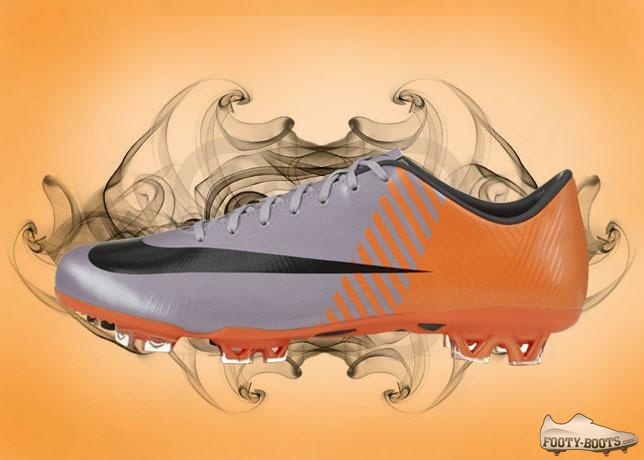 The eighth edition of the Nike Mercurial Vapor introduced a new traction system to the line. Buttresses on the studs ensured fast-in-and-fast-out ground penetration, while a central stud—a high pressure point—was engineered to boost acceleration. A lowered toe and more sculpted arch changed the fit of the boot around the foot, and the Teijin microfiber upper’s suede-like finish increased touch and control with a barefoot feel. As with all evolutions of the Mercurial, innovation to the upper was matched by a new outsole—this time built of flexible fiberglass. The contoured last followed the natural shape of the foot, and incorporated a softer heel to minimize distraction. The launch colourway, an unmistakable Mango, further caught attention. Cristiano Ronaldo’s CR7 edition Mercurial Vapor IX unleashed neon colours on the newly textured upper, accented by a Safari print. If that wasn’t enough, the CR7 Mercurial Vapor Supernova, with intergalactic all-over print, hammered down the explosive, otherworldly speed of the Mercurial line. 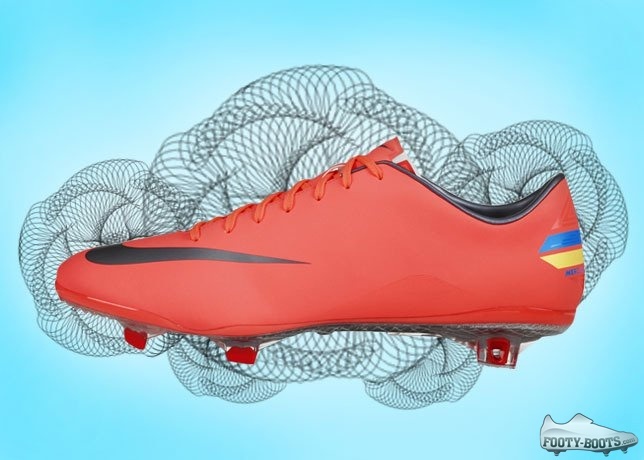 The headline change to the Nike Mercurial Vapor X, was the tongue-less design. Integrated was a new lacing system with a super-thin, stretchy microfibre for the most low-profile, form-fitting Mercurial yet. A thinner synthetic upper was introduced, equipped with the ACC All Conditions Control finish that was first introduced on the Vapor VIII. A new soleplate, inspired by tech from the Nike Hypervenom, saw the split-toe design make an introduction, whilst packing the same stud configuration as the Superfly IV. Since its inception, when it broke the barrier as an elite football boot made from synthetics, the Nike Mercurial Vapor has constantly innovated. The Mercurial Vapor is the firestarter of brightly coloured boots, after all who could forget the Mercurial Vapor IV Berry? Some of the greatest footballers of all time have laced them up, two named Ronaldo spring to mind. 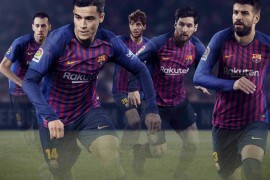 The Mercurial Vapor continues to evolve at an incredible pace and whether you like it or not, its streamlined appearance has already carved out a place in football history. We’d love to hear your stories; Which Mercurial’s have you owned? 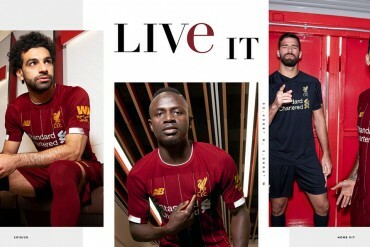 Which are your favourites? Did you score an amazing goal in a pair? Drop your comment below…. 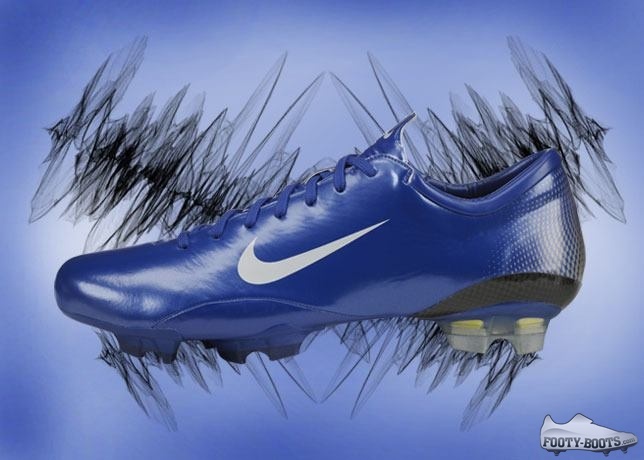 I started out with a pair of the Vapor III’s – they near killed me and I vowed never to buy Mercurial’s again. Then when the Superfly II came out I couldn’t resist. Have worn nothing else since.